jenny joined Watsi on November 19th, 2015. Three years ago, jenny became the 1667th member to automatically support a new Watsi patient every month. Since then, 3,410 more people have become monthly donors! 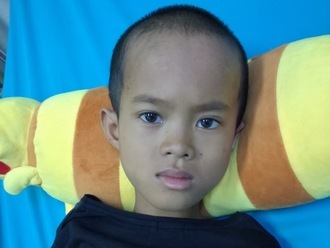 jenny's most recent donation supported Vanly, a boy from Cambodia, to fund spinal surgery. jenny has funded healthcare for 40 patients in 11 countries. 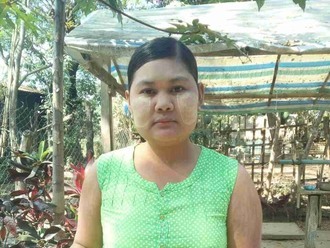 Chanthorn is a rice farmer from Cambodia. She has one daughter and one son. She likes to listen to the radio and spend time with her family. Ten years ago, Chanthorn had an ear infection. This infection caused the tympanic membrane, or the ear drum, in her left ear to perforate. For this reason, Chanthorn experiences pain and tinnitus. She cannot hear well and is in chronic pain. Chanthorn traveled to our medical partner's care center to receive treatment. On July 6, she will undergo a myringoplasty procedure in her left ear. During this procedure, surgeons will close the perforation. Our medical partner, Children's Surgical Centre, is requesting $423 to fund this procedure. This covers medications, supplies, and inpatient care. Her sister says, "I hope my sister's ear problems are gone after surgery. 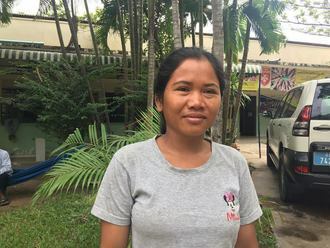 We look forward to bringing her home with improved hearing."